Tessitura, formed in 2013, brings an engaging texture to its music from the rich and varied experience of its three members. 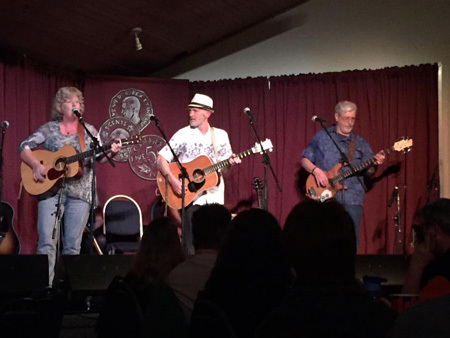 Diverse musical backgrounds combine to create a unique sound incorporating folk, Celtic, country and blues genres. We love to engage our audience and throw in the occasional musical surprise to make you laugh, feel, tap your feet or sing along. Our music is inspired by tradition and has a timeless quality. 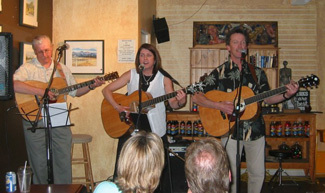 Tessitura features Doug Baker on vocals & guitar, Fiona McGinn on vocals, guitar & mandolin, and Murray Little on bass. 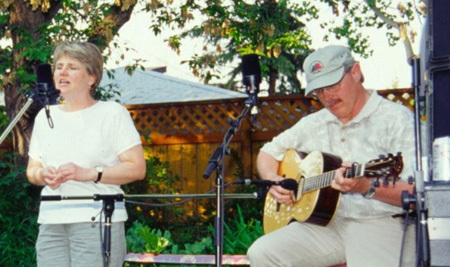 The predecessor to Tessitura was Strings & Things, a new endeavor featuring Fiona McGinn on vocals, mandolin and guitar, and Murray Little on vocals, guitar and bass. The name was changed to Tessitura when Don Baker joined the band. 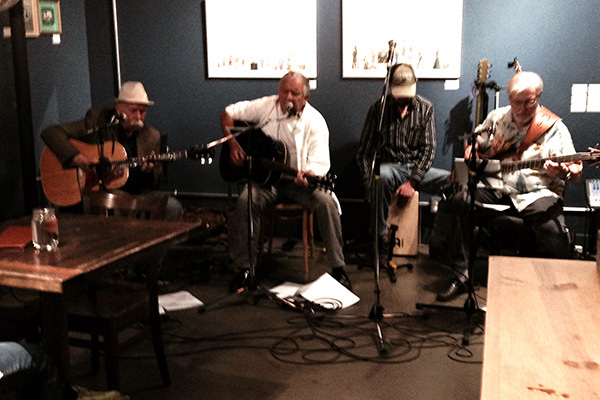 Blue Rambler, formed in 2012, is made up of good friends who like old music. They play blues, old country swing and new music that harkens back to a simpler time. They like to have people join in singing, in tapping their feet and in listening to the stories in their favourite songs. 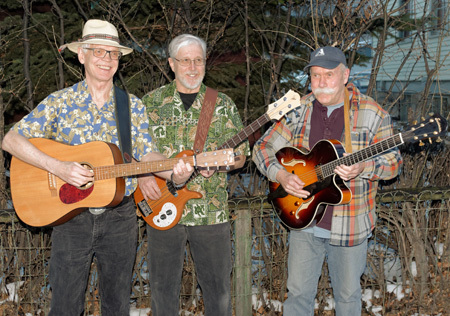 Blue Rambler includes: Don Gowan on vocals, lead guitar and mandolin; George Campbell on vocals and rhythm guitar; and Murray Little on electric bass; three fine, respected and long-serving members of the Calgary music community. Blue Rambler disbanded in May 2016. In its short existence (2009 ~ 2012), the Lost Followers underwent a few line-up changes. 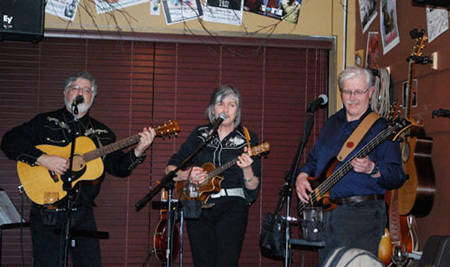 The original group consisted of Karen Mills, Don Gowan and Murray Little. Don dropped out of the group early on and was replaced by Dan Perrakis. Dan was with the group for a year before moving to the coast. Wayne Corner stepped in and took over the role of playing lead instruments. This latest configuration of the group recorded their debut CD Shootin’ the Moon in 2011 featuring 8 original tunes and 3 of our favourite covers. Soul Purpose was a group of friends with diverse musical backgrounds who came together with a common aim ~ to entertain others while enjoying what they loved to do ~ creating Soundscapes. 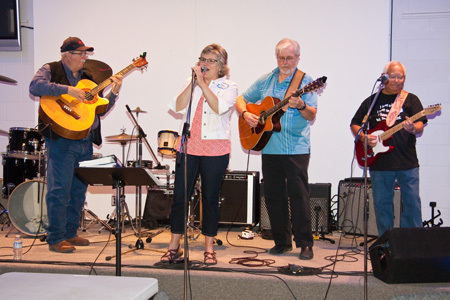 The group was re-formed in September 2007 with newcomers Monica Wade and Murray Little joining original members John Reid, Mike Jubenville and Bob Ell. The group parted ways in 2009 after recording a demo CD A Leap of Faith. MS Behavin‘ was Sandy Johnson and Murray Little. The duo originally got together to record Fallen Angel, a song written by Murray. This morphed into recording a CD for Sandy’s friend Anna’s 50th Birthday. Murray and Sandy were joined by many friends and talented musicians to help out on the CD project which was released as By Request in 2003. MS Behavin’ got the performing bug and started an Open Mic at Central Blends. Joining Sandy and Murray as the host band was lead guitarist Al Nawata and bassist Mike Dygert from TNG. Over the years MS Behavin’ performed at senior centers, open mics and the Water Valley Celtic Festival. 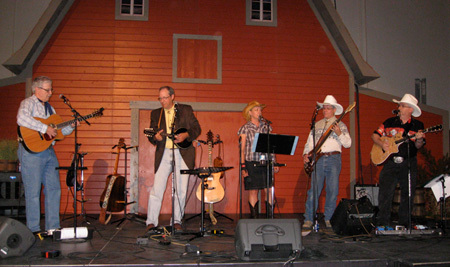 The group grew as more musicians were added to play the Water Valley Festival – the first year Bob Ell joined Sandy, Al and Murray. The following year Tess Bassie was added, and the name was changed to Hectic Eclectic Quintet. Again the following year Peter May was added to the group and the name shortened to HEQ. A group of musical friends who gathered every Tuesday night, from 1993 ~ 2003, to pick ‘n grin and share a few beer. The group originally consisted of Al Hawrys, Hugh Nerlien, Mike Dygert, Norm Yanofsky, Jordan ?? and myself. The participants of these Tuesday night jams changed over the years with the core group consisting of Al Hawrys, Al Nawata, Hugh Nerlien, Mike Dygert, Rick Barteluk and myself. Others who joined over the years were Monica Wade, Sandy Johnson and Peter May. TNG disbanded as people moved away from Calgary and musical interests changed. The group played a few gigs but mostly just jammed on Tuesday nights. 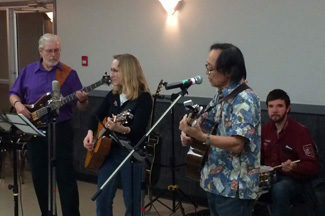 The above photo shows TNG members Mike Dygert, Sandy Johnson, Murray Little and Al Nawata performing at the Vintage Musician’s Reunion. Al Hawrys was stage right and out of the photo frame. Murray has the pleasure of playing bass whenever Bob has a gig involving more than a solo performance. From Water Valley to Didsbury to Carstairs to Calgary spreading the gospel according to Bob. 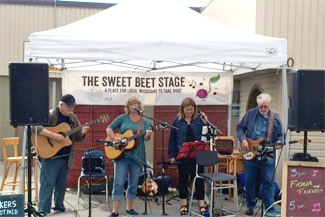 Murray joined Fiona and Sheri as a bassman busking on the Sweet Beet Stage at the Hillhurst Sunnyside Farmer’s Market. Also playing is Don Gowan on lead guitar. Nobuo Kawaguchi started an Open Stage at the Varsity Community Center and I was honored to be asked to play bass in various configurations of the Host Band. Cellar Dwellers consisted of Karen Mills and Mike O’Doherty. Murray joined the group for a few practices and a couple of gigs in 2006. We are playing the Central Blends Open Mic in the photo above. 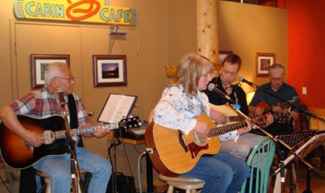 Mosaic was a band put together to support Monica Wade’s performance at the Cabin Cafe. It consisted of Al Nawata, Peter May & Murray Little from TNG /HEQ.